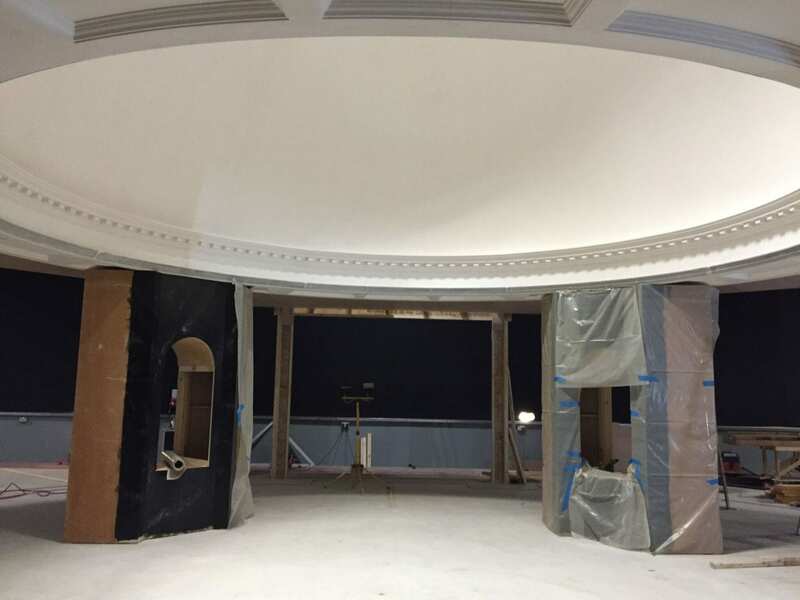 The finished plaster dome with the crown moldings with dentil moldings surrounding the bottom of the dome. In classical architecture a dentil is a small block used as a repeating ornament in the crown mold. The four corner columns with niches are just being added.